Simply complete our form and based on the information you provide, we will request verification documentation from you. Whilst you're applying, remember we're here to help. If you have questions, call 1300 653 555 (during business hours) and we'll put you straight onto a bcu credit card specialist. You may link a bcu access or savings product to this card. Please select a product or select 'None'. Do you receive a salary or income? Would you like to add another cardholder to this card (not a joint holder)? Additional cardholder must be at least 16 years of age. Is the additional card holder a bcu member? Because you are applying for this credit card in joint names you may choose to nominate one applicant to receive notices and documents under the National Credit Code on behalf of both of you. 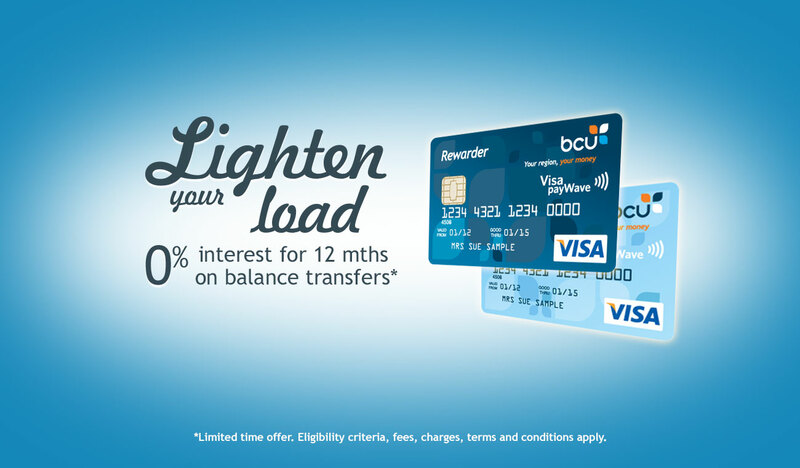 Would you like to lighten your load with a balance transfer? A Balance Transfer Fee of $150 applies and will be debited to your card account at the time of Balance Transfer. Note - whilst a balance transfer balance exists unless the balance of the most recent statement is repaid in full, any purchases will not have an interest free period. In order to revert to an interest free period for purchases the balance of the account has to be repaid in full (including any balance transfer).